We’ve seen the movies. The Little Mermaid, Finding Nemo, the ones that lead us to believe the sea is full of cute, charming, singing creatures. Instead, it’s more stinging creatures. The ocean isn’t the friendly place made out in a Disney film. Which is fine. 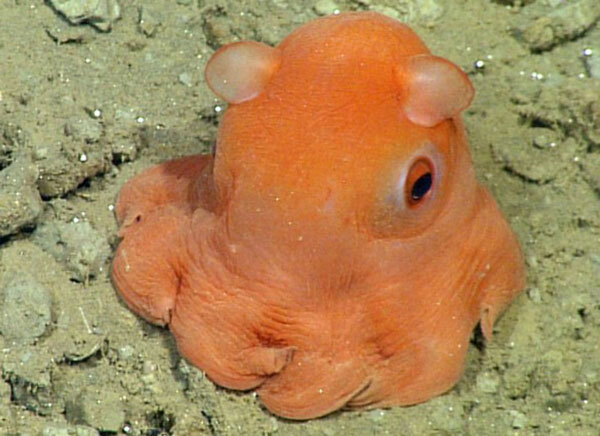 We can all accept reality isn’t a children’s movie, but you’d think as big as the ocean is there would at least be more cute creatures in it. They don’t need to be friendly. Like a baby blackbear – at least look cuddly! So we were happy to see this recent underwater discovery. 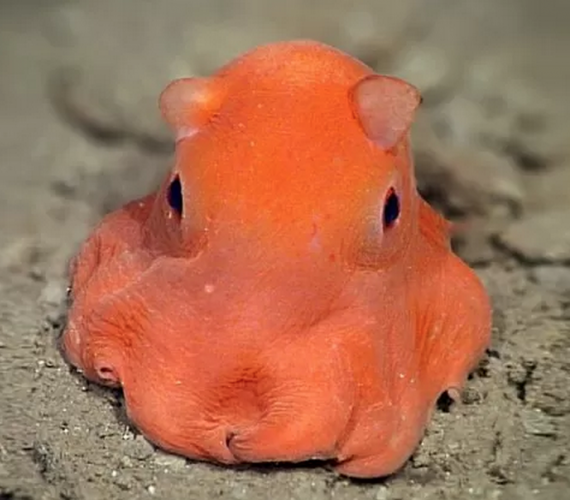 Small, pink and absolutely adorable! 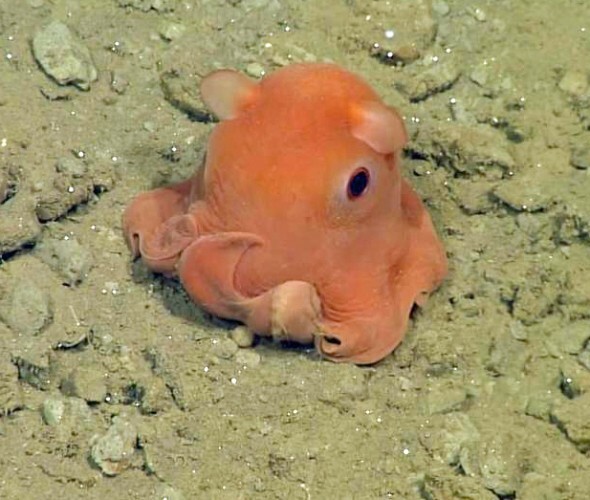 We’d wear a shirt featuring this friendly octopus. 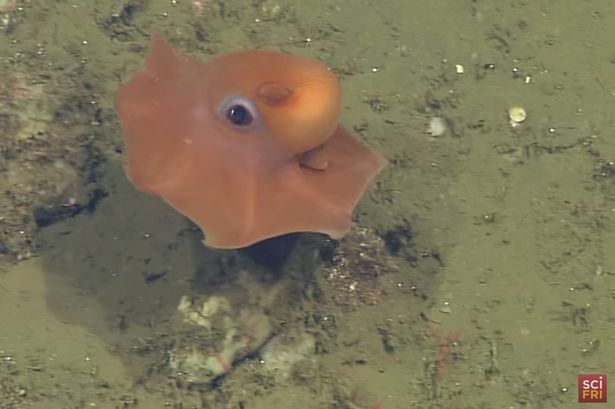 So cute that scientists are thinking about naming this recently discovered octopus, Opistoteuthis adorabilis, because it’s just so, well, adorable!